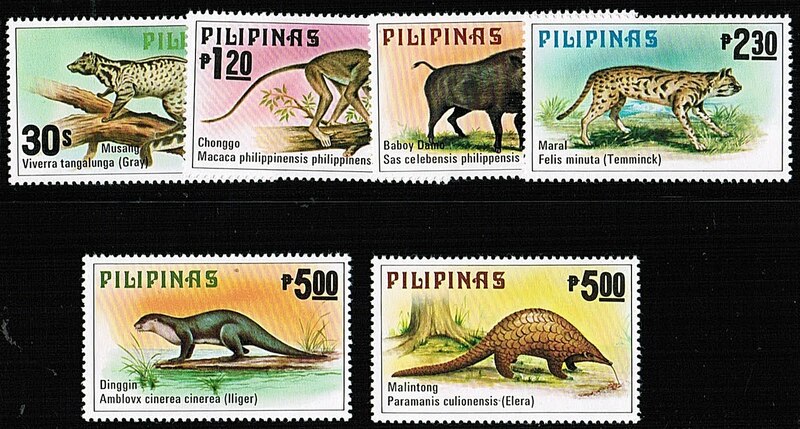 In 1979, the Philippines issued an attractive set of stamps featuring native animals (Scott #1403-08). 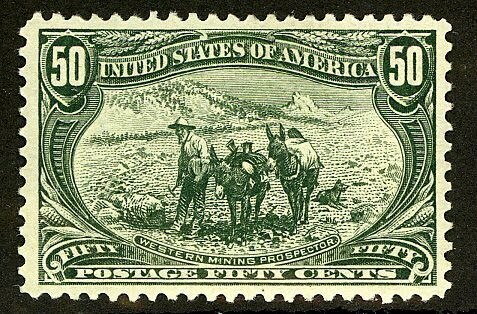 Only 50,000 were issued, and Scott '11 prices it unused at $10.95 . 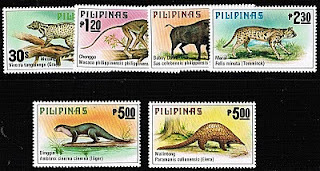 It is likely that most were used as postage and discarded.From the perspective of philatelic history, the Philippines is interesting because it has issued stamps under Spanish dominion, U.S. Administration, Japanese Occupation, and as an independent nation. It is also compelling as an area of research for the philatelic investor, because of its rapid economic growth, and because it has issued a number of scarce yet overlooked issues, including some modern popular topical sets, such as the Animals topical issue featured in this article. 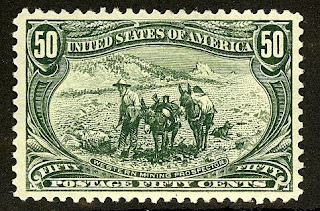 Those interested in joining a community of stamp investors, dealers, and collectors are welcome to join the "Stampselectors" group and organization page at Facebook. These provide useful venues for those who wish to buy, sell, and trade stamps, and discuss philatelic investing and practical aspects of stamp collecting.